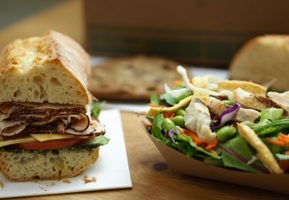 Your choice of any half sandwich, half salad, and either a cookie or a piece of fruit. 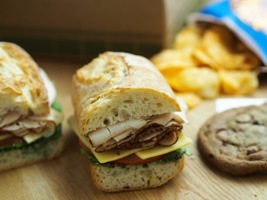 Your choice of any full sandwich. Includes a bag of chips and either a cookie or a piece of fruit. 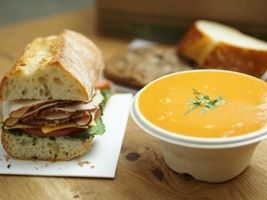 Pick a large or regular bowl of soup and pair it with a demi sandwich. Includes either a cookie or a piece of fruit.